Estate planning wouldn’t be complete without talking about death and burial. This blog will focus on what you need to know to put together a loved one’s funeral or cremation and what you can do to prepare for your own. Options for how to handle a funeral are expanding. There is a movement afloat to make the whole thing more “green”. Viewings can include actually having the deceased sitting in the room, obviously propped up. One woman was dressed to the hilt, complete with a boa and cigarette holder, in the corner of the viewing room. Other folks have ordered pizza and beer to be enjoyed by all after the ceremony or memorial service. Options for what to do with being cremated remains are endless. You can go with the traditional urn or you can have ashes scattered virtually anywhere. The carbon from cremated remains makes for a nice diamond. This is one justification for putting on a lot of weight before you pass away—size matters for diamonds! One group of musicians smoked the remains of their deceased friend. The best piece of advice I can give you, and I know it is VERY DIFFICULT to follow, is to discuss a funeral or cremation when you know your loved one’s death is coming soon. Why? Because it gives you a bit of time to process the costs, choices, processes, etc. involved with burying or cremating your loved one. The biggest issue with death and things that come along with it is making sure that expenses are kept in check. Each grieving family budgets differently when handling the death of a loved one. The main commonality, though, is that no one is running on all 4 cylinders when he is grieving, maybe still in shock and not processing information as well as usual. The funeral and cremation business knows that you are extremely vulnerable. This may not work in your favor. Here are some suggestions on how to protect yourself if you need to take care of a funeral or cremation. The burial, memorial or crematory business knows that you are extremely vulnerable. This may not work in your favor. Here are some suggestions on how to protect yourself when making preparations about your own or your loved one’s death. If you can, try to shop around. Look online. Be sure to purchase only the services you want. Figure out the cost for each individual service. It is so easy to go with a package of some sort. You can make a decision quickly and everything is handled. Remember though, you will pay dearly for the convenience. It is so easy to go with a package of some sort. You can make a decision quickly and everything is handled. Remember though, you will pay dearly for the convenience. Caskets and urns can be purchased elsewhere rather than at a memorial home or cremation facility. Costco sells caskets and urns. Again, if you can, shop the prices. Try to get an idea of the reputation of the business or facility whose services you want to avail of. If you are able to talk about a burial or cremation before your loved one passes away, then you can ask for recommendations from hospital staff, hospice, friends and family. Try to set a budget and STICK WITH IT! Do not make emotion-motivated decisions if possible. Memorial homes and cremation facilities are subject to the Funeral Rule. The Federal Trade Commission enforces this Rule. The Rule’s job is to protect you as a consumer. It states that consumers be given itemized pricing lists, full explanations of costs, and detailed information as to each item and step in the process of burying or cremating a loved one. The Funeral Consumers Alliance, www.funerals.org, is a wonderful organization that protects consumers when making decisions regarding memorial and burial. It has excellent articles on how to protect yourself and “to do” checklists that are very helpful. When it comes to your own death (or in preparation thereof), take some time to consider what you want your loved ones to do for you. First, decide on whether you want to be cremated or buried. When you do your estate planning, there is a particular form that you sign that specifies your preferences. Your Last Will, Revocable Living Trust or Durable Health Care Power of Attorney can say who will take care of the details. How much money should your loved ones spend? Where do you want your ashes scattered? How do you want your funeral or memorial handled? Who should be in charge of making burial or cremation arrangements? Many of my clients prepay for the expenses. This is a great idea with one caveat: be sure that you have researched the home or facility carefully. You want to feel comfortable that it will remain in business long enough so your money will not be put to waste and your loved ones will not encounter problems when the time comes. I have other clients who are taking $5000 in cash and putting it in a home safe, for the purpose of helping their family members get started with funeral or cremation costs. 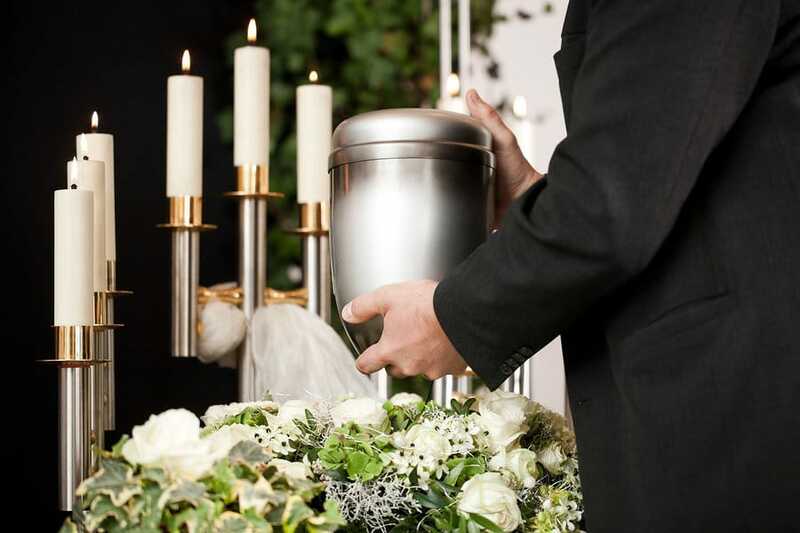 Most of the memorial homes and crematory facilities work well with families when it comes to paying for services in the sense that they will wait for full payment until the loved one’s assets become fully available. Get in contact with me today to make sure your estate planning affairs are in order.